FOR SALE: FENDER CUSTOM SHOP CRS59 GUITAR. 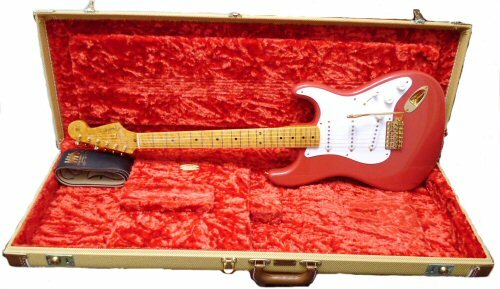 In 2008, the Fender USA Custom Shop agreed to manufacture a limited re-issue based on the guitar that Hank originally played in 1959. 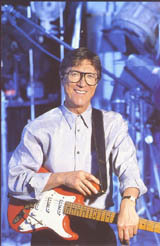 Bruce Welch, the original guitars current owner, allowed access to the guitar so that its exact measurements and profiles could be obtained. This attention to detail was so that the new guitar was as close as possible to the original. Only 54, plus 1 prototype, have ever been made, of which only 50 were offered for sale. Since 2009, very few have come up for sale and most of these have been sold to overseas purchasers. The World has finally woken-up to Hanks genius. 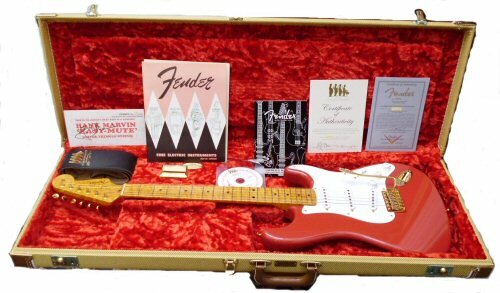 This guitar has been signed by Bruce Welch, and comes complete with all of the included accessories. It is in a virtually un-played and mint condition and still has the plastic film on the scratch-plate. The guitar was recently fitted with a VML Total Tension System and then set-up exactly as Hank has all of his Stratocaster guitars, including his CRS59. This is a rare opportunity to acquire such a wonderful instrument, as the number left in the UK is fast diminishing. For more information contact Howard Gillespie at Oasis Musical Instruments.